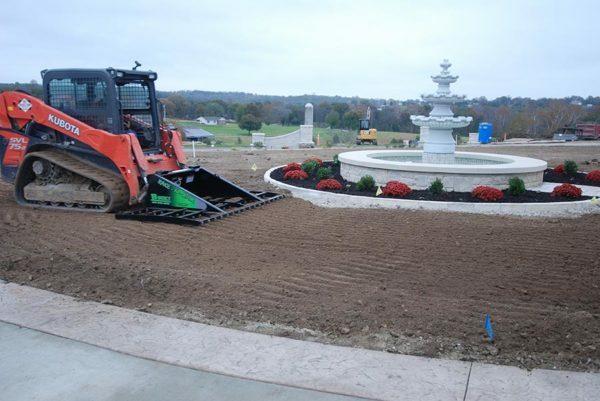 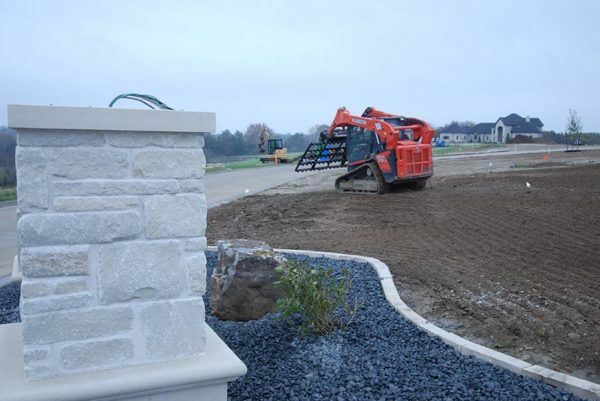 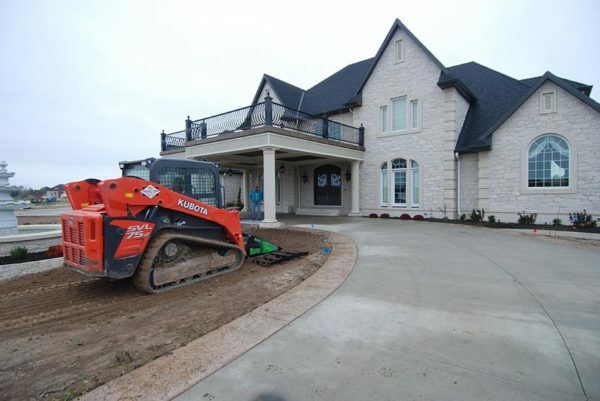 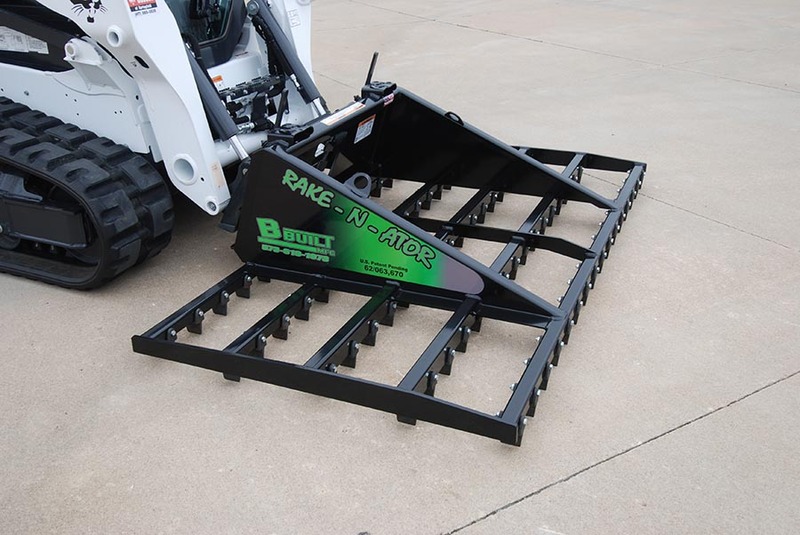 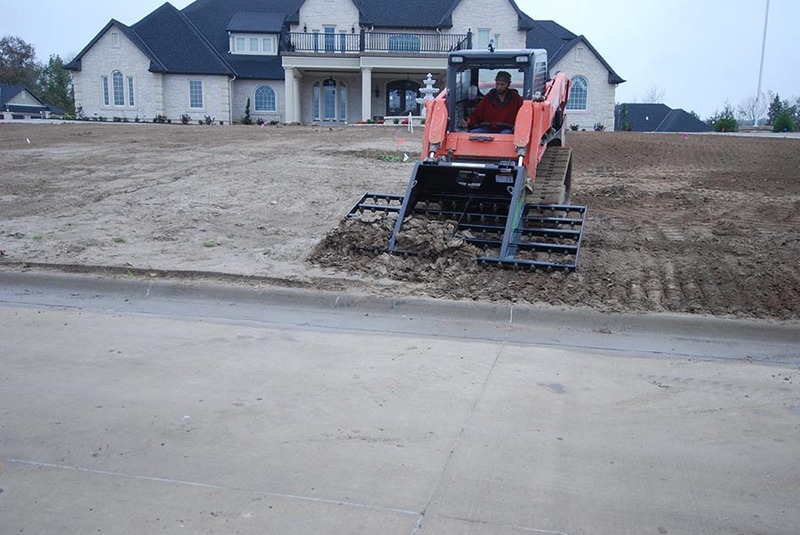 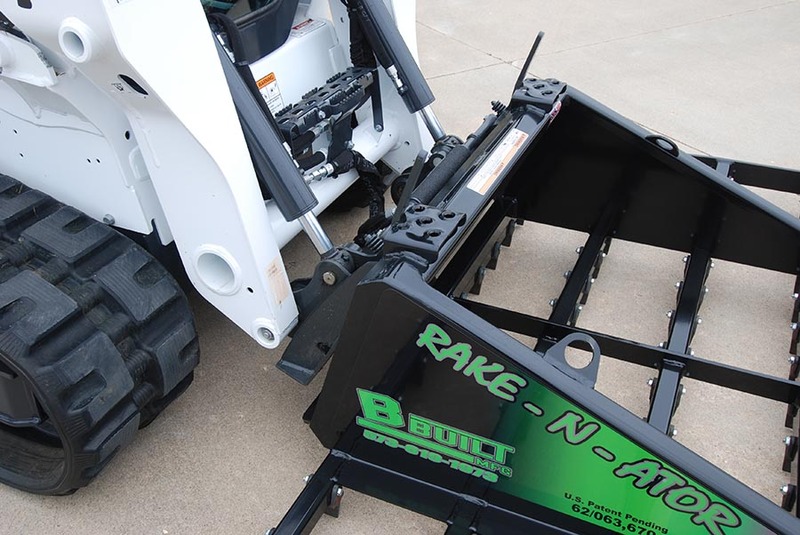 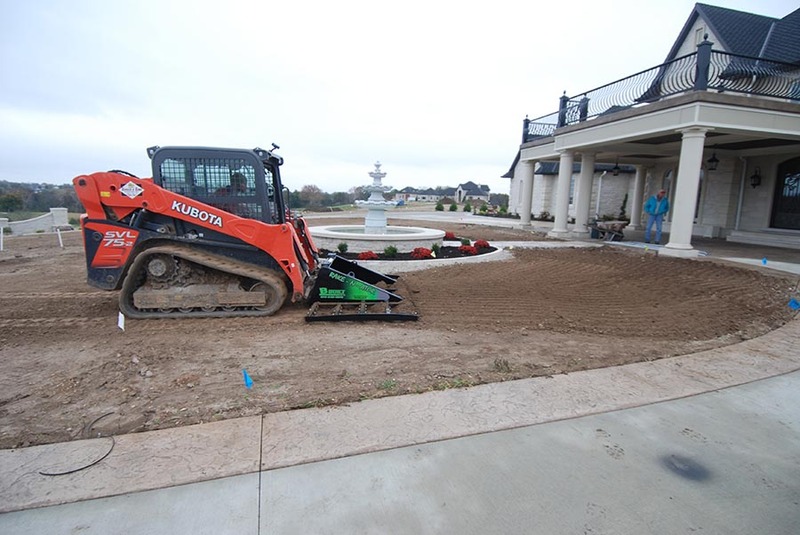 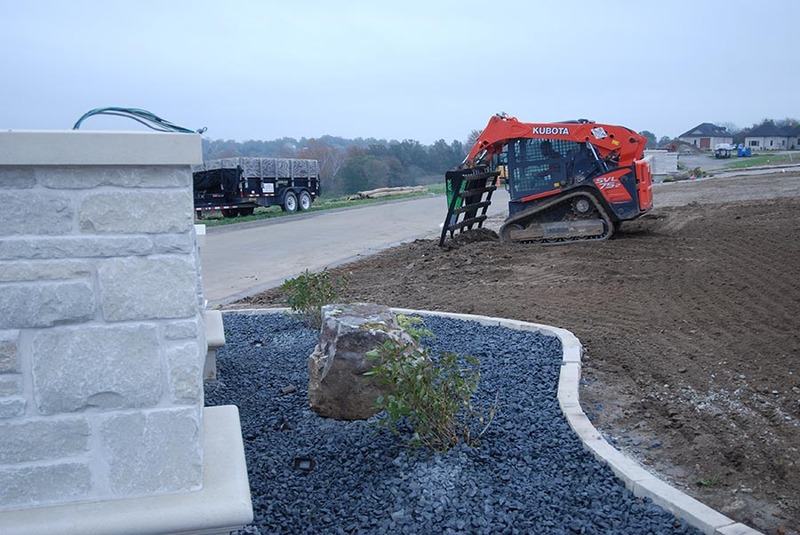 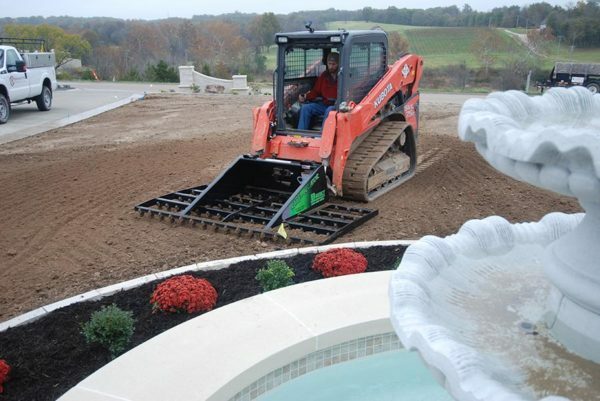 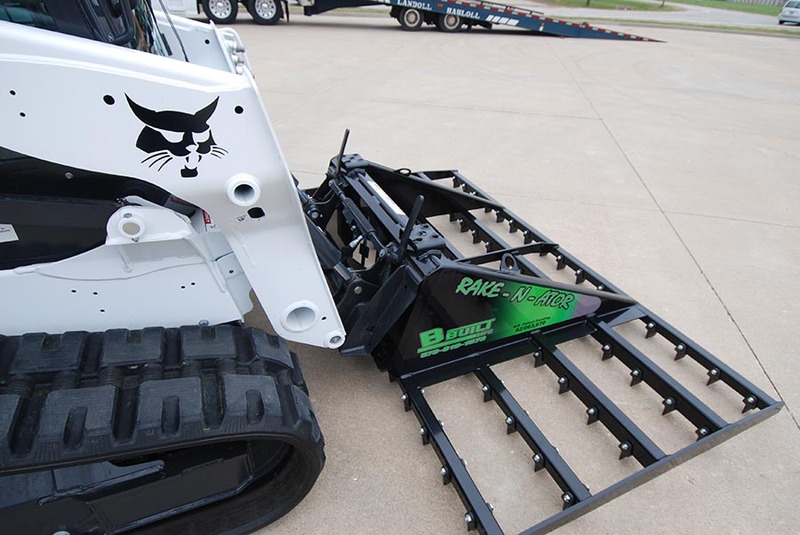 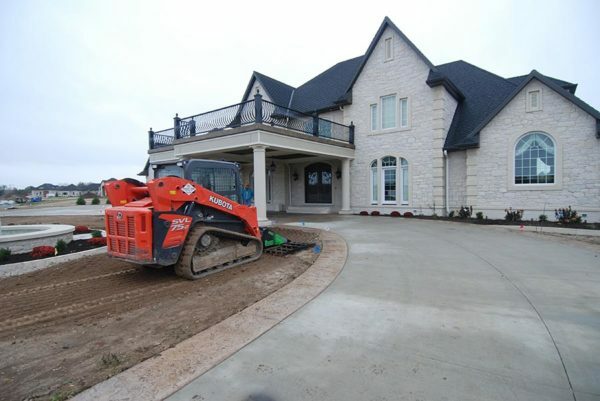 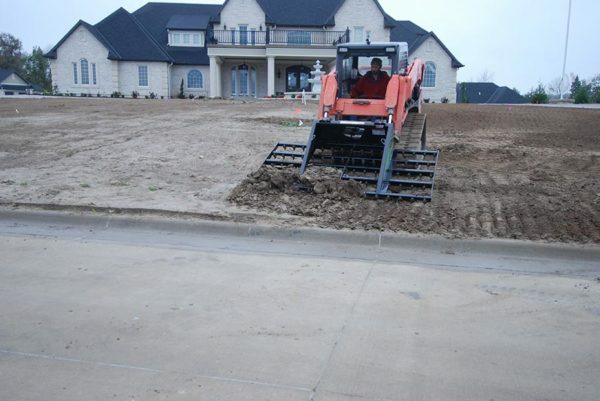 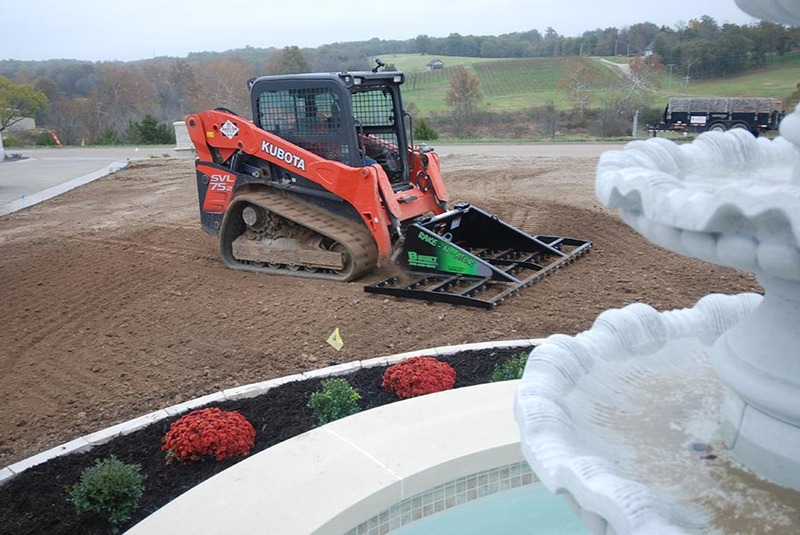 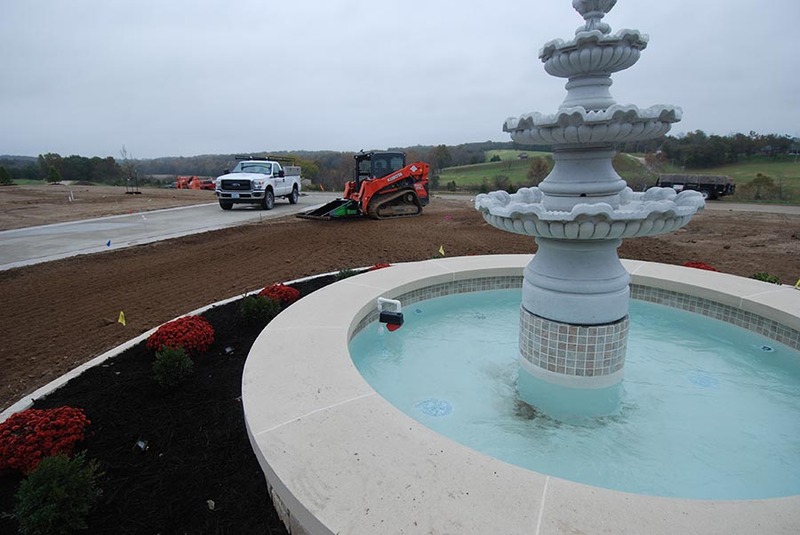 The Rake-N-Ator turns your skid steer loader into a landscaping and land-leveling machine. The rake is designed with five grading bars, which contain a total of 80 teeth (on 96” model). 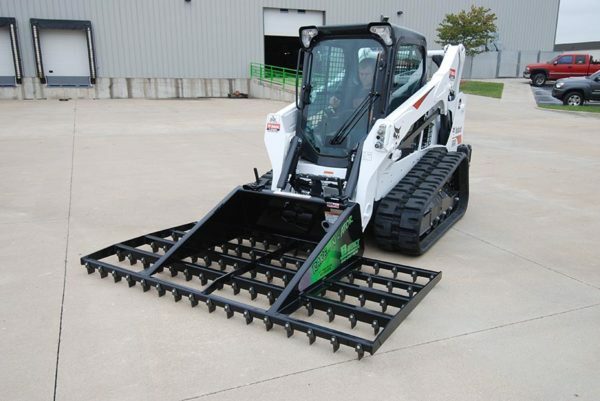 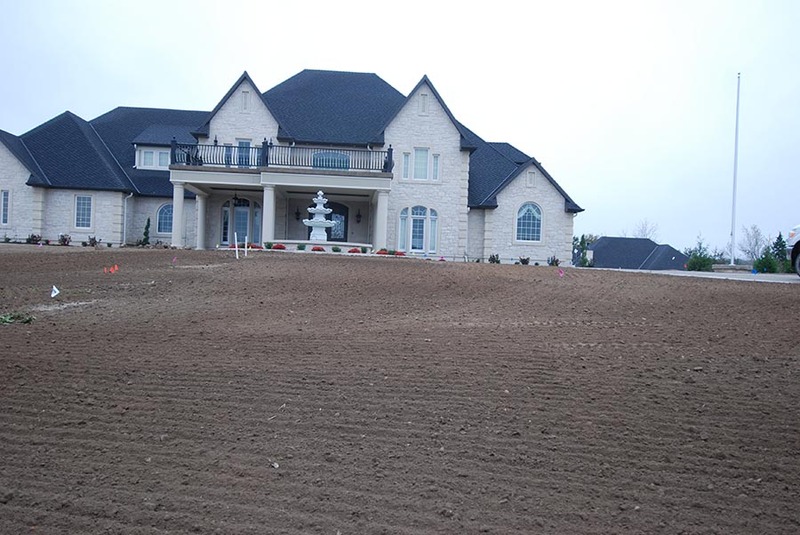 The 2” long tooth design quickly loosens and flattens your landscaping area. 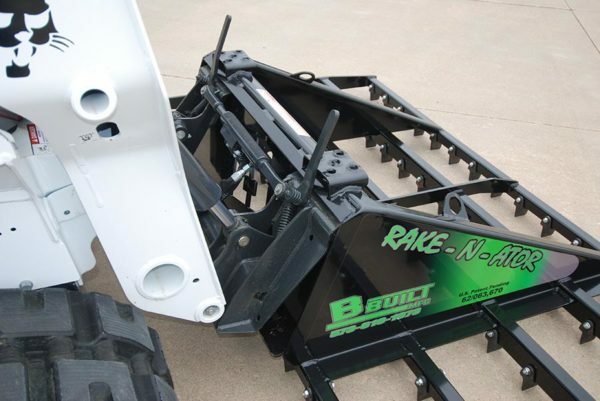 The applications for this rake are only limited by your imagination. The rake works with the same basic principles as an ordinary garden rake. 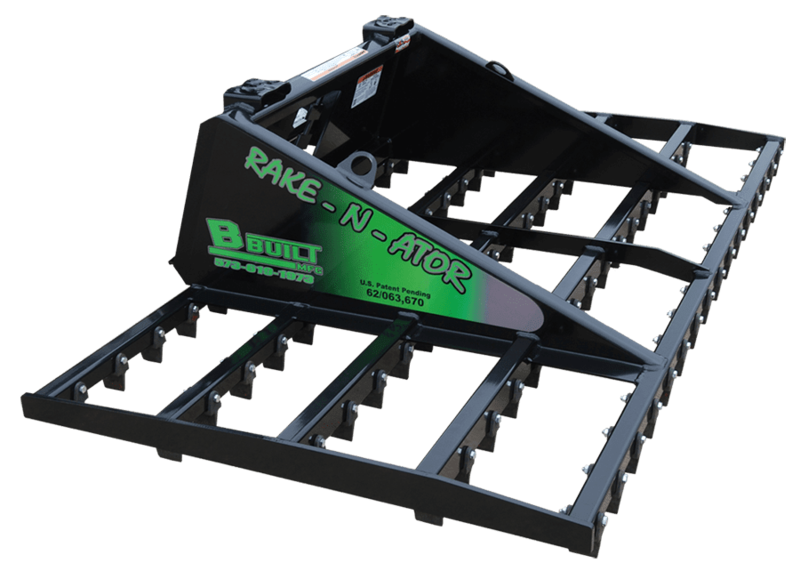 As the rake is pushed or pulled across the ground, it filters the dirt through teeth and over the bars to break up large chunks of dirt. It also redistributes material by removing high spots and filling low spots. 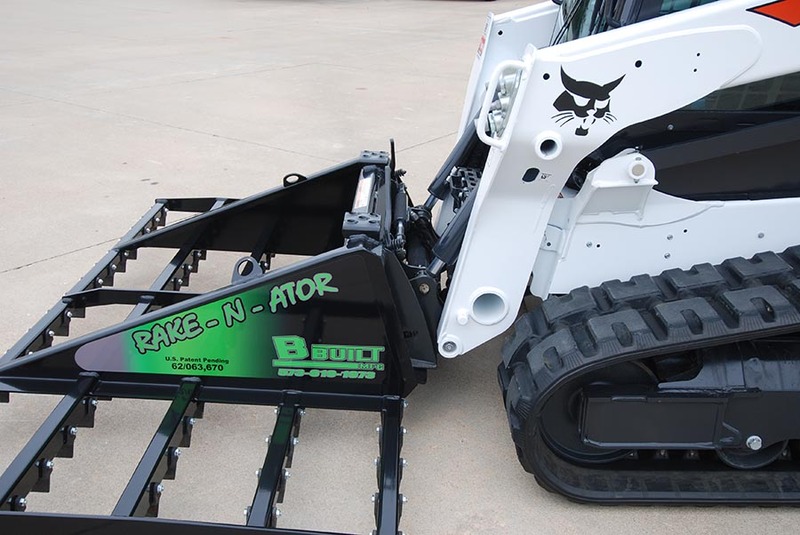 The patented Rake-N-Ator uses no moving parts that might slow you down. 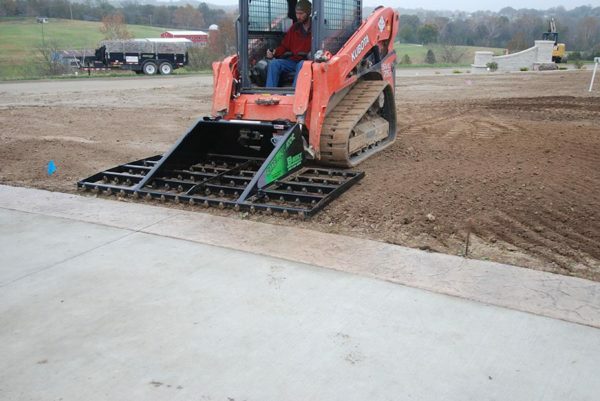 The teeth are, however, removable for easy replacement as they wear. 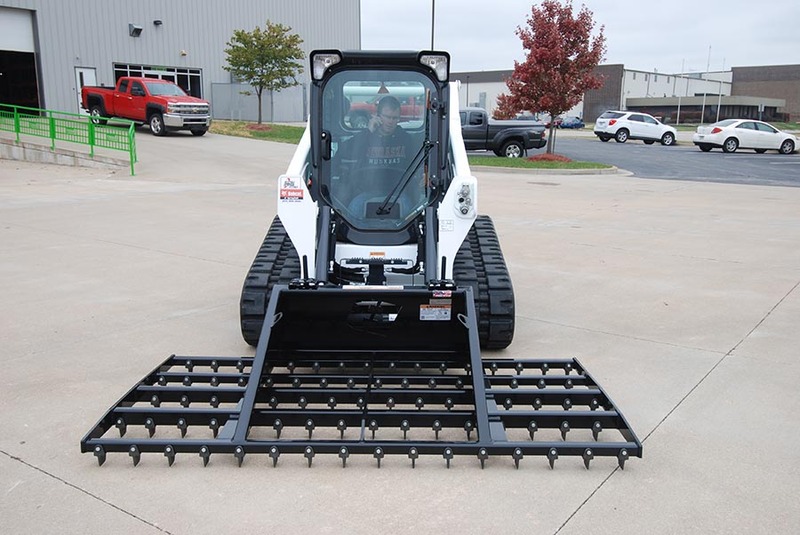 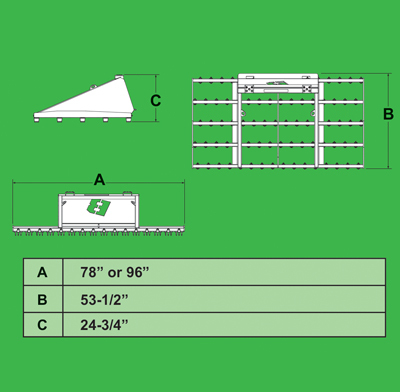 The universal “quick-attach” mounting plate will fit any skid steer including, but not limited to, Gehl, New Holland, Bobcat, Kubota, and John Deere.